I love photographing weddings in Liverpool – not only are you always assured of a great party but there are just so many cool and unusual wedding venues to choose from. This blog post is all about my favourite Liverpool wedding venues and some of the beautiful real weddings I’ve photographed in and around Liverpool city centre. Enjoy! Alex and Ferg wanted a very chilled out and relaxed wedding venue where their guests could party the night away. Constellations in Liverpool’s Baltic Triangle was their venue of choice. It’s not hard to see why – it’s fun and completely different and super relaxed. Not only that but it’s surrounded by some amazing spots for pictures. Check out Alex and Ferg’s wedding on the blog to get some Liverpool inspiration. The Palm House in Sefton Park is STUNNING and offers a wedding venue that is very much out of the norm. It’s a pretty iconic building in Liverpool so local guests will have the pleasure of enjoying the day somewhere they know and love whilst your guests coming from further away will be treated to a jaw dropping venue unlike any other. Sophie and Jon have spent many hours in Sefton Park so it was extra special for them to spend their wedding day at this beautiful Liverpool venue. Check out their wedding day here. I am a massive history geek. So I love working in venues which have an interesting history and the Bluecoat has that in spades. 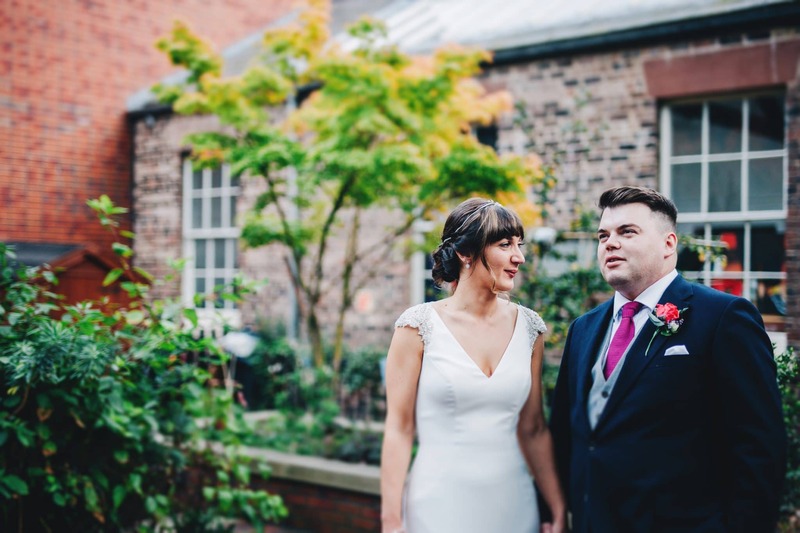 Originally a school in the nineteenth century, the Bluecoat is now an art gallery and cafe which means that couples who chose to hold their wedding at the venue are helping to keep this beautiful Liverpool building open for more people to enjoy. Smack bang in Liverpool city centre but feeling like you’re in a world of your own – it’s one of my new favourite Liverpool venues. Alice and Ollie brought friends and family to the Bluecoat for their big day. Check out their wedding on the blog here. 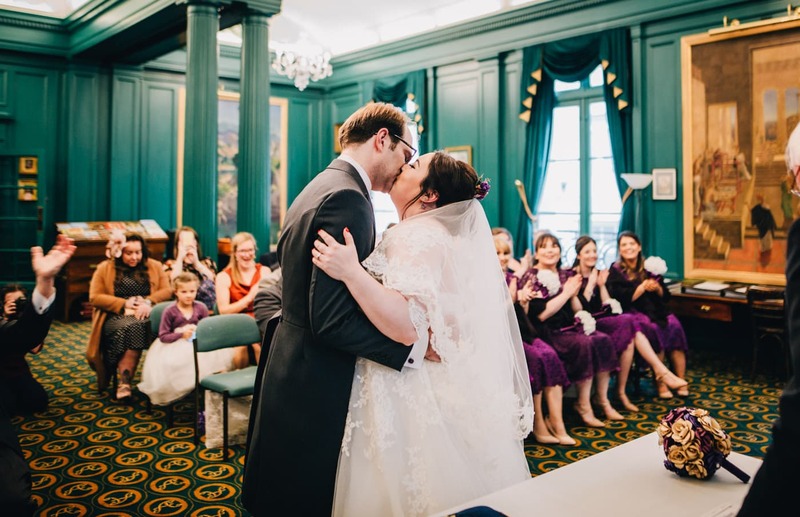 Want a city centre venue that’s handy for everyone to get to, big enough for all your guests, absolutely stunning inside and is an actual real life library? Yes book geeks. Come this way. The Athenaeum in Liverpool city centre is the wedding venue for you. Dripping in history and full of interesting nooks and crannies for pictures – this place is perfect perfect perfect! Check out Michelle and Ian’s quirky geeky joyous wedding day right here on the blog now. I can’t have a blog post all about Liverpool wedding venues without mentioning one of the most iconic buildings in the city – the Liver Building. Jodie and Chris held their stylish Christmas themed wedding at the Liver Building and invited me along to capture the day and I loved it! 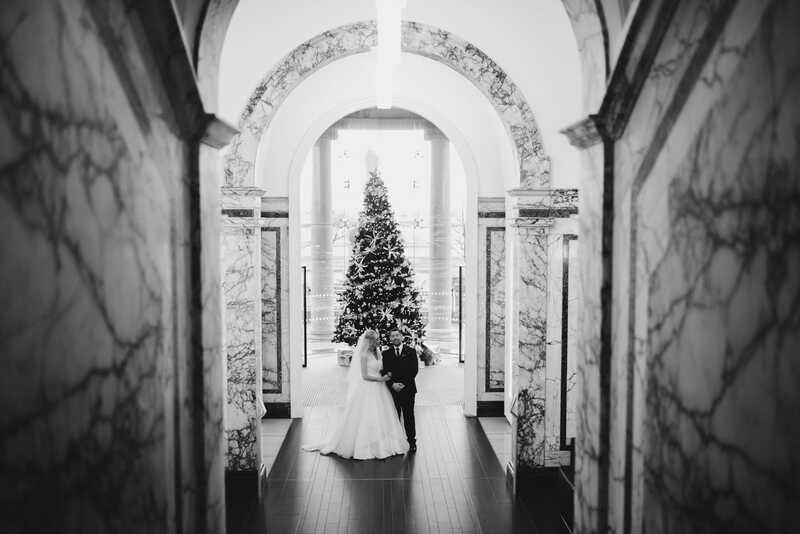 Beautiful inside and out – this wedding venue works perfectly for winter weddings because there are so many beautiful spots for pictures. Check out their glittery wedding over on the blog here. Thank you for visiting my blog all about my favourite Liverpool Wedding Venues. If you’re getting married in Liverpool and on the hunt for your wedding photographer I’d love to chat to you about your plans.